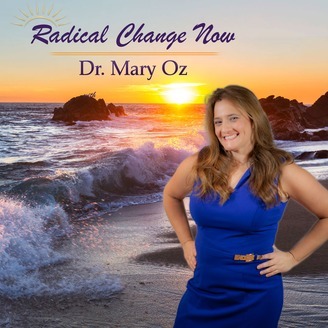 Dr. Mary Oz’s Radical Change Now Show is for you if you are ready for Big Change in less than 30 days! Every week her clients are sharing more and more amazing stories and results that they are having quickly, easily and effortlessly. Dr. Mary Oz has a unique way of combining the power of Ho’oponopono Healing and The Law of Attraction. If you are willing to journey inward, take full responsibility for yourself and your life and activate a healing foundation in your life that will affect everything for you, don’t miss out. Everything changing includes you, your life, your work, business, relationships, loved ones and even your family members, all in a pure positive way. Dr. Mary Oz believes that everyone should have the chance to change and grow quickly, easily and powerfully without pain. Her show is about helping others to set a healing foundation and learn how to cooperate with the Law of Attraction and be happier with themselves and their lives. 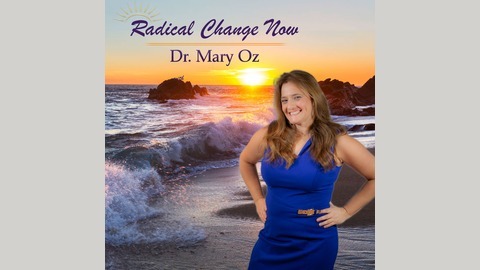 Join Dr. Mary Oz for her final episode of Radical Change Now. Take a walk down memory lane and see which shows you should listen to, before they disappear!